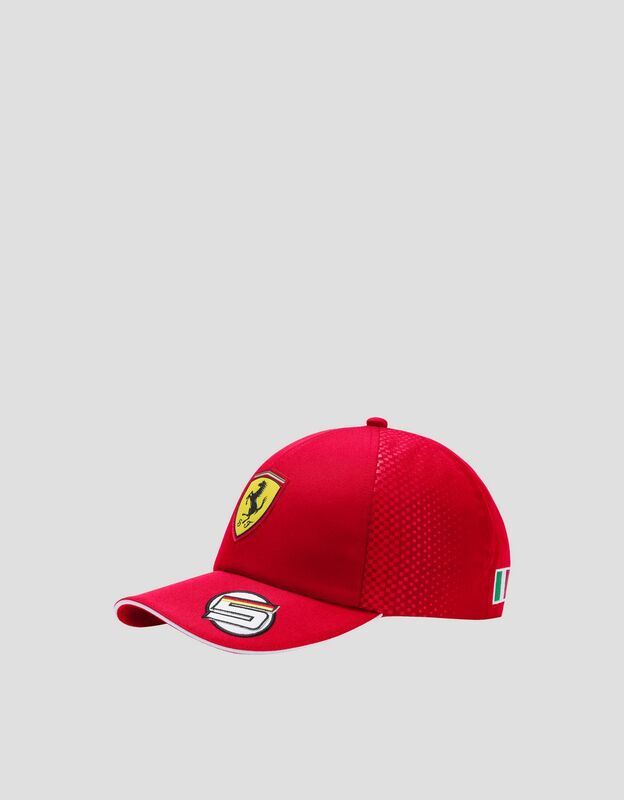 The official Replica of Sebastian Vettel’s cap is a tribute to all the young supporters of #5 from the Maranello-based company. Worn by the German champion during the 2019 season, the Replica cap features a clear racing inspired graphic that makes it even more dynamic. This accessory comes with a six-panel construction, a flat visor with the driver’s #5, and a comfortable internal sweat band. 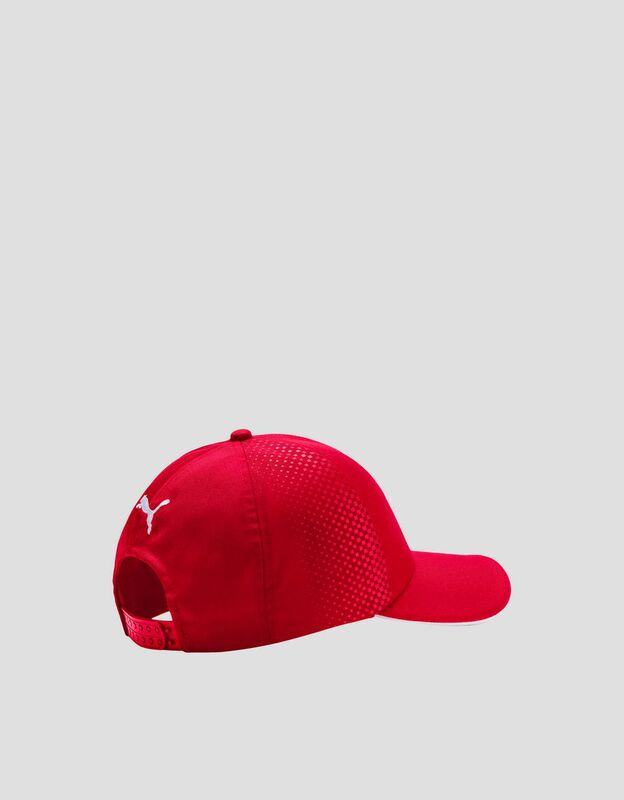 On the back of the cap there is a Velcro closure to adjust the fit and an embroidered Puma logo, while the Ferrari Shield sits prominently on the front.